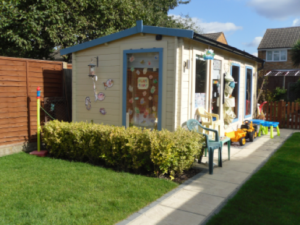 Application & Discharge of Conditions Granted (Hillingdon): You Can Transform Your Back Garden Garage into a Child-Minding Service! When our clients approach us with an idea to convert an outbuilding or a garage into a business, we love to take on the challenge! Just recently, we have been successful in discharging conditions for our client whose application we also worked on and gained approval for. The application for the change of use of an existing detached garage to a child-minding service was initially refused, on the basis that the application failed to demonstrate that the site is safe and flood risk is suitably mitigated through the provision of an appropriate flood risk assessment. The council also wanted more information to show that safe and appropriate areas for the dropping off and picking up children are available. The team at MZA collaborated with a consultant to produce a flood risk assessment and proceeded to submit a cover letter explaining that, according to the assessment, the site does not suffer from any real risk of flooding. Additionally, further information regarding parking arrangements was submitted to support the application. This was enough to gain approval subject to a number of conditions. Following the approval, we worked with our client to discharge two of the conditions; one was related to sustainable water management and the other to landscaping. All of the information needed to address the two conditions was supplied, which included a SuDSmart Pro Report, and this was enough to take home a win!